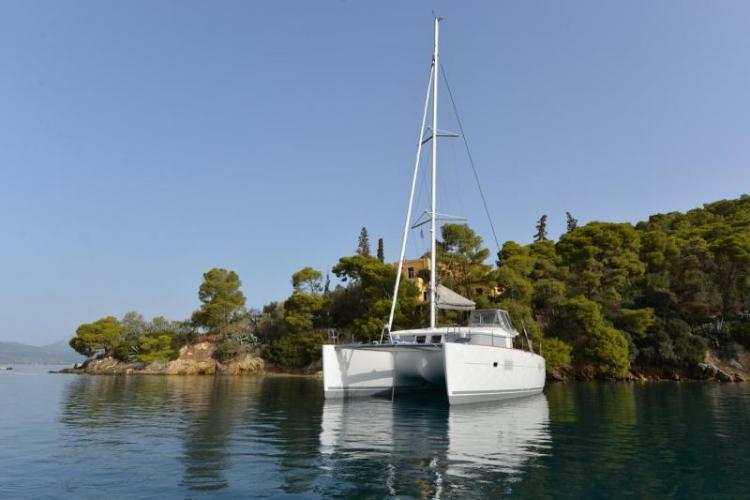 A new and luxury catamaran, ideal for relaxing sailing holidays for families or groups up to twelve people. 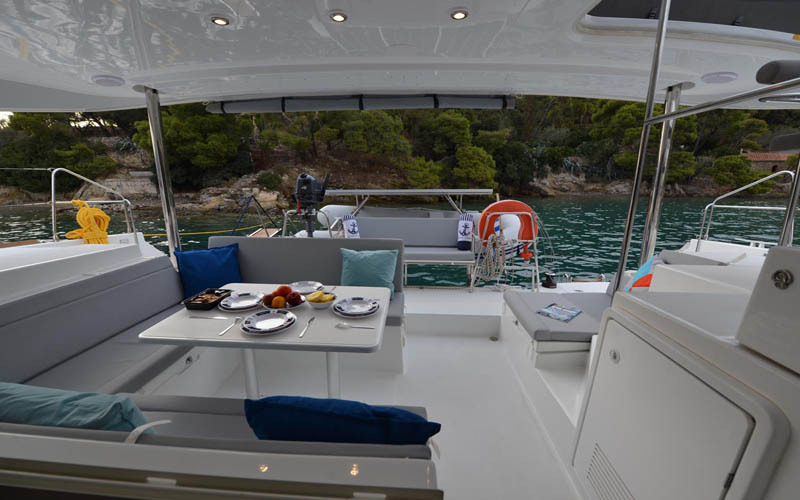 This Lagoon 400 S2 is equipped with four double cabins with ensuite bathrooms, plus two front cabins, plus one front WC. 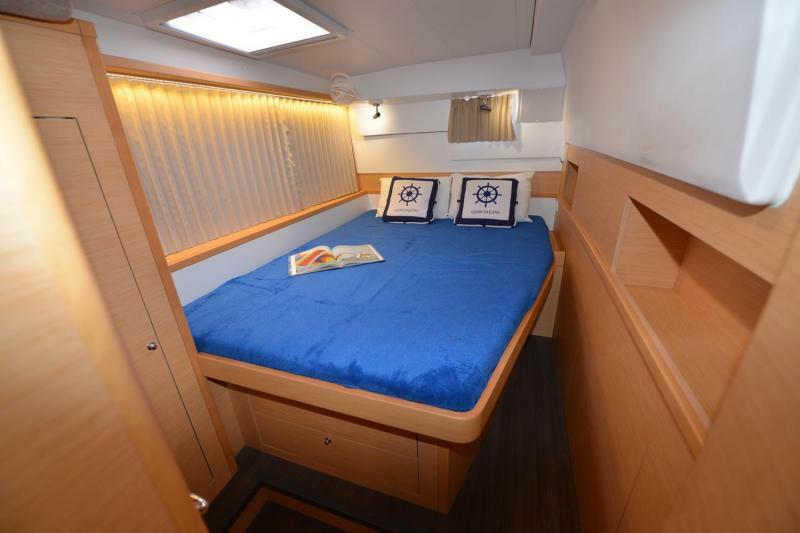 The central table is convertible to a double bed as well. 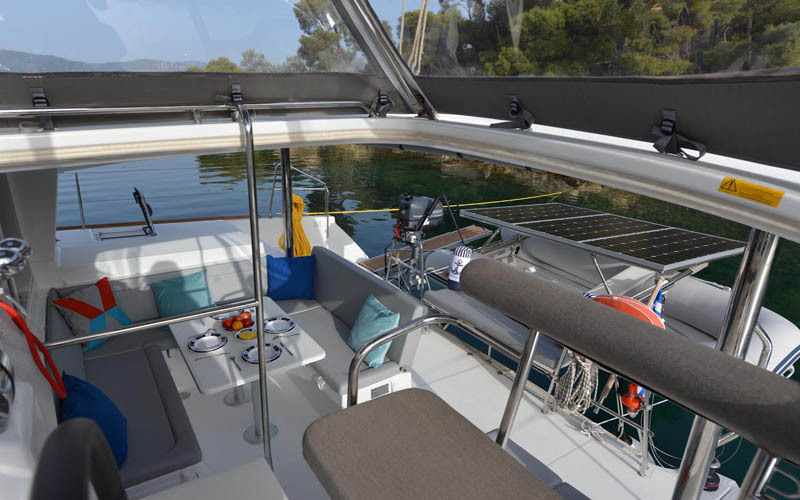 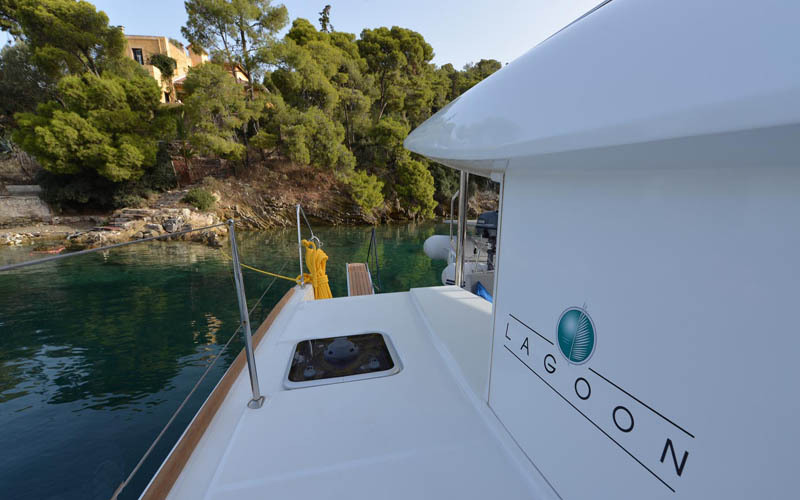 The boat is fully equipped, her equipment includes also a hydraulic gangway. 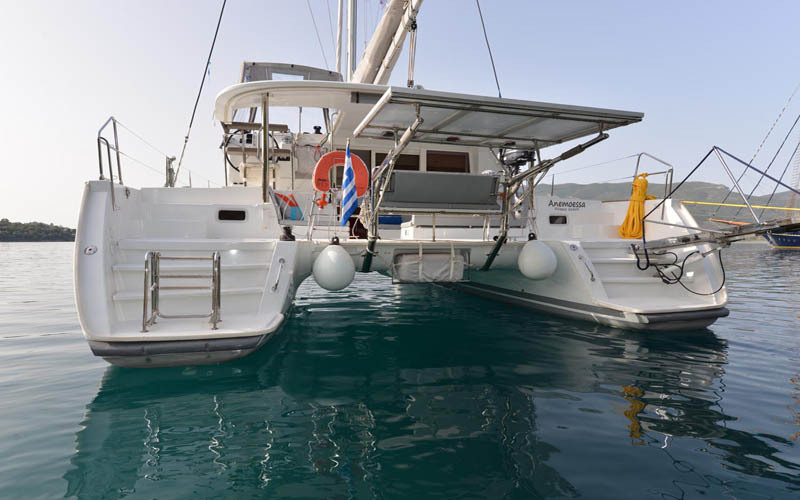 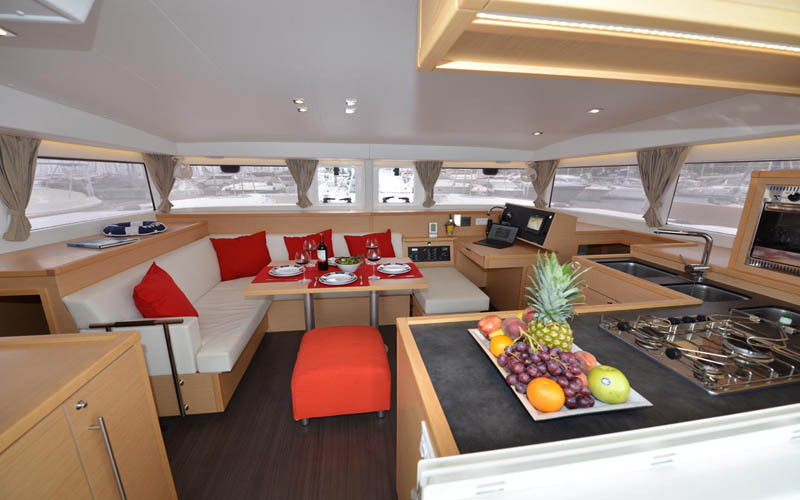 This luxury catamaran is ideal for both bareboat and skippered (crewed) charters as well.